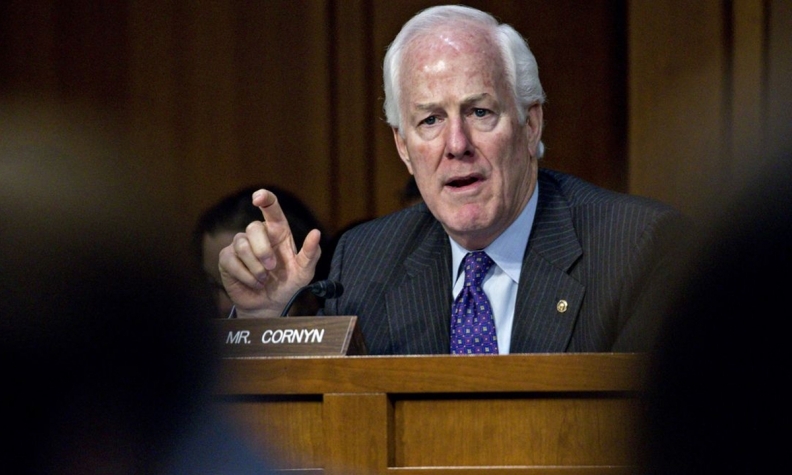 Senate Majority Whip John Cornyn: "I wish it had been handled earlier." WASHINGTON -- U.S. Congress probably won't have time to approve a new North American Free Trade Agreement this year, as cabinet members from the three trading partners continue to negotiate changes to the pact, according to Senate Majority Whip John Cornyn. Asked if the deadline for congressional approval of a new deal had run out, Cornyn said, "yeah, I think so." "It looks like they are kicking it over to 2019," he told reporters in Washington on Monday. "I wish it had been handled earlier." Cornyn's comments are the most definitive after House Speaker Paul Ryan said early last month that American legislators needed notice of a NAFTA deal by May 17 so they could vote before this Congress ends in 2018. Ryan later said there might be a couple weeks of wiggle room, placing the deadline around early June. The United States, Mexico and Canada have been holding periodic discussions since August after President Donald Trump threatened to withdraw from the 24-year-old pact if he can't renegotiate one that would shrink America's trade deficit and boost manufacturing jobs. It could take Congress at least six months to vote on a new agreement after it receives notice that a deal has been reached. Cornyn also complained Monday that U.S. Trade Representative Robert Lighthizer has kept lawmakers out of the loop during negotiations. "I've told him time and time again you need to consult with Congress more to make sure that whatever you agree to can pass," Cornyn said. "And he's pretty much ignored that advice." When reached for comment, Lighthizer's office pushed back. "On the NAFTA renegotiation alone, Ambassador Lighthizer has personally held 45 meetings with members of the House and Senate," Jeff Emerson, USTR spokesman, said in an email. "In addition to Ambassador Lighthizer's engagement with Congress, USTR staff has spent roughly 1,158 man-hours consulting with the House and Senate about the NAFTA renegotiation." Negotiators seem to have arrived at an impasse after Trump last week decided to impose steel and aluminum tariffs on Canada and Mexico. Canadian Prime Minister Justin Trudeau called the decision "insulting," while both NAFTA partners have threatened to impose import barriers of their own against U.S. products. Analysts at Goldman Sachs Group Inc. said last week that NAFTA delays could prompt Trump to give notice of withdrawal from the pact without actually walking away from it. Under the agreement's rules, he would have to give partners at least six months' warning of his plan to pull out, during which time the three countries could still renegotiate the deal. "The White House might pursue this approach if it concludes that negotiations have stalled and that Canada and Mexico plan to maintain the status quo," according to the analysts. Trump last week also toyed with the idea of replacing NAFTA with two separate bilateral deals, saying Canada and Mexico are "very different countries." White House Press Secretary Sarah Huckabee Sanders said Monday that Trump was still open to that option. "But we're in ongoing negotiations," she added.